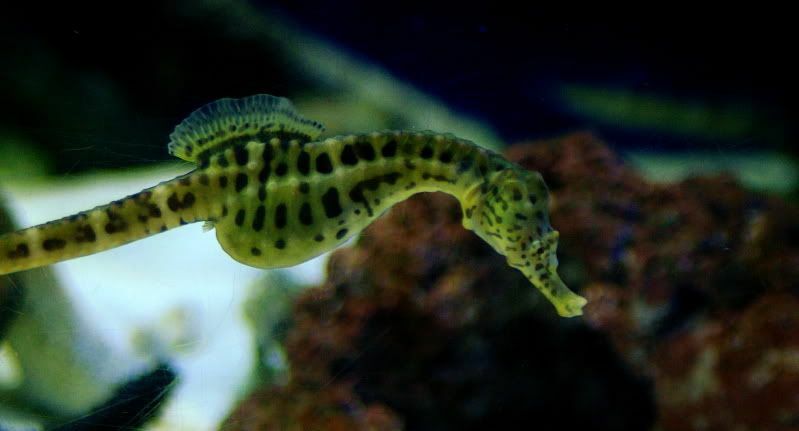 The Pot-bellied Seahorse (Hippocampus abdominalis) is difficult to come by in the hobby. Endemic to cooler waters of Australia makes the seahorse rarely accessible. The Pot-bellied Seahorse is not a good fit for reef aquariums as it requires temperatures in the range of 55-65 degrees Farenheit. They also get quite large for seahorses; up to 14 inches in length. Captive bred species are available on occasion but are usually expensive.